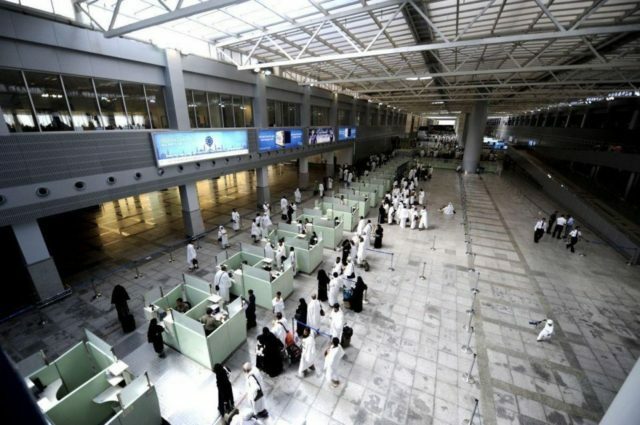 According to the figures quoted by the General Authority of Civil Aviation ( GACA ), the number of air passengers in the Kingdom is expected to double in the next 10 years to about 200 million, the Arabic daily Al-Watan reported. The authority said five airline companies operating from the Kingdom have a combined fleet of 204 aircraft, which will rise to about 400 when new orders placed by the carriers start arriving in the country. Saudi Arabian Airlines (Saudia), Flynas, Flydeal, Nesma Airlines and Saudi Gulf Airlines (SaudiGulf) are the five Saudi-owned airline companies operating from the Kingdom. The authority expects the air travel sector to grow by about 93% by 2030 and said the number of passengers would rise from about 101 million in 2019 to more than 200 million that year. According to GACA, the number of passengers increased by 129.3% in the past 10 years from 44.2 million in 2009. It said the five airline companies signed several contracts to purchase new aircraft, which are expected to be delivered soon. Meanwhile, GACA will host the International Civil Aviation Conference 2019 in Riyadh on April 1-2. A number of transport ministers, heads of civil aviation authorities and experts from regional and international organizations will attend the conference to exchange their experiences with a view to increasing the quality of services offered to passengers. The authority said the two-day conference would also discuss cooperation in aviation safety.